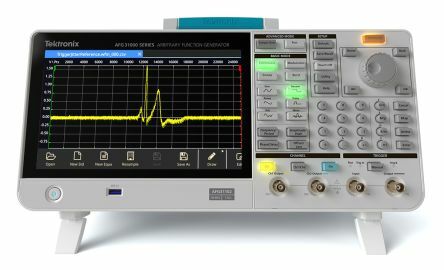 RS has great selection of signal generation and analysis equipment. 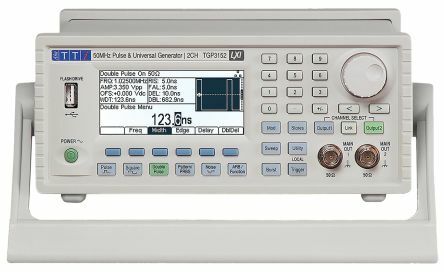 Among other products, you will find frequency counters, function generators and counters, TV and video test equipment as well as general test clips. 0.5 Hz to 5 MHzSine, Square, Triangle, Pulse, & Ramp outputCoarse and Fine tuning4 digit LED displayVariable duty cycleVariable DC offsetVariable amplitude output plus 20dB attenuator20Vpp output into open circuit (10Vpp into 50 Os)cUL certified.